Margaret Atwood’s futuristic novel - The Handmaid’s Tale – is timeless and relevant. Set in the fictional Republic of Gilead and spanning the Eastern seaboard of the United States after the collapse of the American government, the novel is narrated by Offred…a young Handmaid whose sole purpose in life now is to be the vessel for producing a baby for the upper classes. 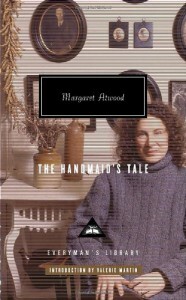 Atwood creates a terrifying hierarchy with men being “on top” and women being relegated to a variety of freedom-less classes such as Wives (top ranked married women who are unable to conceive), Daughters (the adopted offspring of wives), Marthas (infertile, single, older women whose skills at domesticity keep them from being shipped off to the Colonies), Econowives (low-ranked married women who must “do it all”), Handmaids (fertile women whose sole function is to provide babies for the upper echelon), Aunts (the only women who have any autonomy and are used to train and monitor the Handmaids), and Jezebels (the prostitutes who are hidden away in hotels and used for men’s pleasure). Atwood uses irony effectively with Biblical references and play on words to craft a compelling story. The novel questions how much freedom we are willing to give up in the guise of safety. Viewed in respect to our current world and political environment of red alerts, government lies to enact war, terrorism, airline security, phone tapping and the whittling away of individual freedoms…The Handmaid’s tale is a thought-provoking expose on what could happen when we willingly give up our freedoms to supposedly ensure our safety. Are we on a slippery slope? Atwood also questions our sources of information (ie: the news media). "The anchorman comes on now. His manner is kindly, fatherly; white hair and candid eyes, wise wrinkles around them, like everybody’s ideal grandfather. What he’s telling us, his level smile implies, is for our own good. Everything will be all right soon. I promise. There will be peace. you must trust. 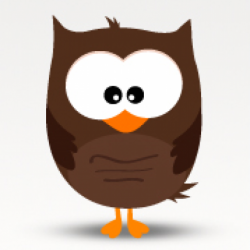 you must go to sleep, like good children. He tells us what we long to believe. He’s very convincing." -From The Handmaid’s Tale, page 83- Atwood is a genius at creating character. Offred’s voice is pitch perfect, taking the reader step by step through her horrible story. Even Serena Joy, the Commander Fred’s wretched wife, elicits sympathy from the reader. Atwood’s skill with language has never been more spot on then in this novel where she twists words and phrases, showing the reader that all is not as it seems. "But all of that was pertinent only in the night, and had nothing to do with the man you loved, at least in daylight. With that man you wanted it to work, to work out. Working out was also something you did to keep you body in shape, for the man. If you worked out enough, maybe the man would too. Maybe you would be able to work it out together, as if the two of you were a puzzle that could be solved; otherwise, one of you, most likely the man, would go wandering off on a trajectory of his own, taking his addictive body with him and leaving you with bad withdrawal, which you could counteract by exercise. If you didn’t work it out, it was because one of you had the wrong attitude. Everything that went on in your life was thought to be due to some positive or negative power emanating from inside your head." -From The Handmaid’s Tale, pages 226-227- I was hooked by the story from page one and read it straight through in two days. The Handmaid’s Tale is on the ALA’s list of 100 most banned books. It was short listed for the Booker Prize in 1986, won the Governor General’s Award in Canada in 1985, and made the Orange Prize list of 50 Essential Reads. Brilliant, chilling, suspenseful, and masterly written – this novel is a modern classic. Highly recommended.